I had so much fun making the blue daisy for Muse that I thought I'd try again. I went for warmer colours (Festive Berries, Worn Lipstick and Mustard Seed) and a little more drama this time, by backing the daisy on black. Same Expressions in Ink sentiment. Really striking... love that black backdrop. Daisies are my favorite flower - love this! Gorgeous inking and I really love the hint of yellow on the edges of the petals. 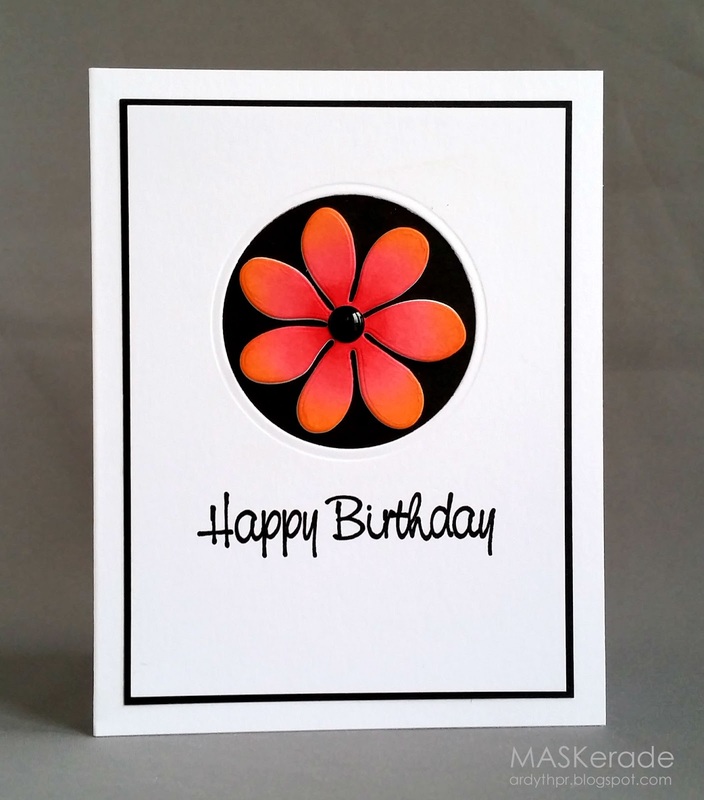 I love how this beautiful daisy pops off the black background! Stunning! Love your CAScards - pure inspiration for me.